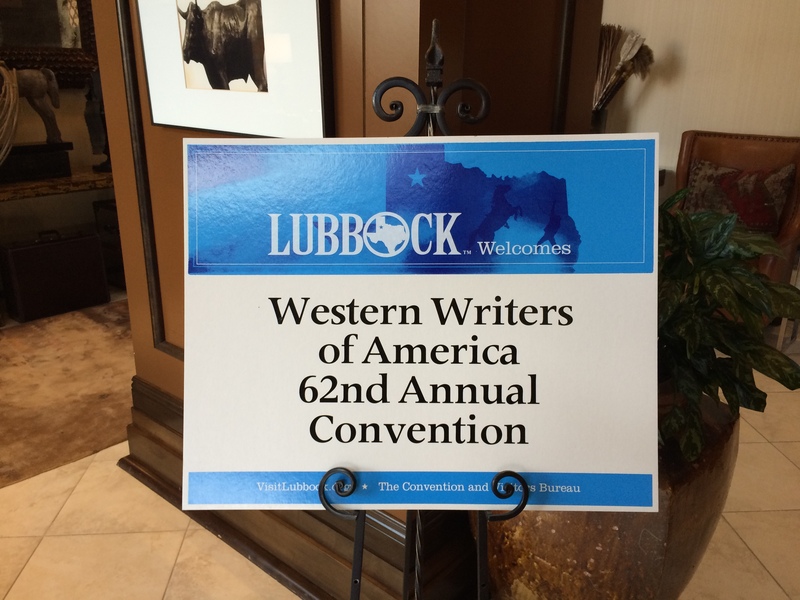 From Tuesday through Saturday, June 25- 27, I participated in the 2015 Western Writers of America convention in Lubbock, Texas. 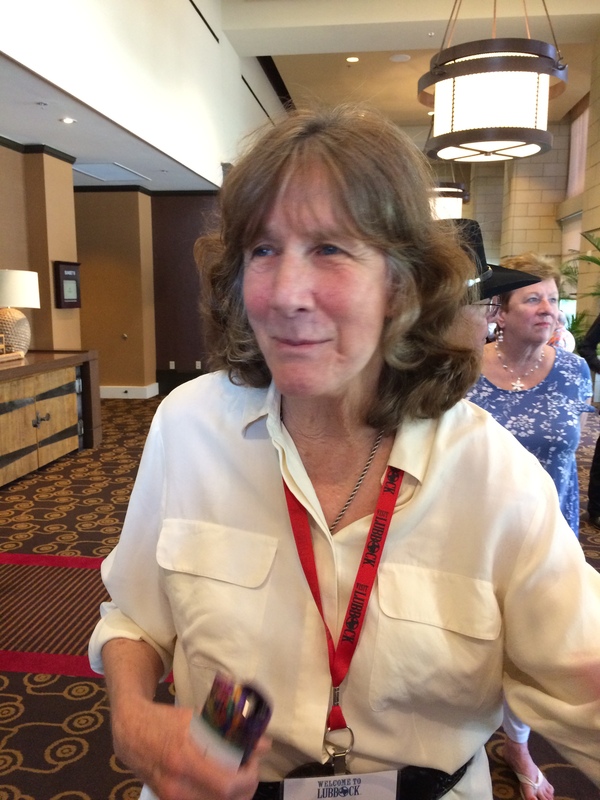 Between the many educational and entertaining sessions, I had the chance to socialize with some of the best writers of western literature in the world, as well as editors, agents, and publishers of western literature. Among those were fellow authors Michael Zimmer and Lucia St. Clair Robson. Lucia St. Clair Robson is a two-time winner of the WWA’s Spur Award. She is a wonderful historical novelist with ten books to her credit. Ride The Wind won her the Spur Award in 1982, and Last Train from Cuernavaca won the Spur Award in 2011. She graciously wrote a blurb that appears on the dustcover of my first novel, Eagle Talons, The Iron Horse Chronicles–Book One. Learn more about Lucia by visiting her excellent website: http://www.luciastclairrobson.com/. 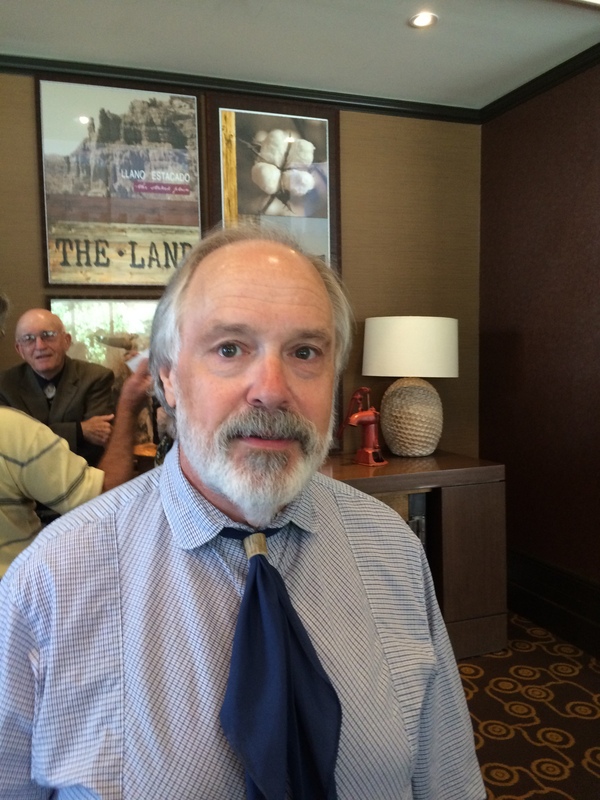 Michael Zimmer is the author of many western and historical novels, short novels, and short stories. His Poacher’s Daughter won the 2015 Wrangler Award from the National Cowboy and Western Heritage Museum for outstanding western novel. Poacher’s Daughter was designated a finalist for the Spur Award for 2015. Michael also wrote a nice blurb for the dustcover of Eagle Talons. Visit his website at: http://www.michael-zimmer.com/. 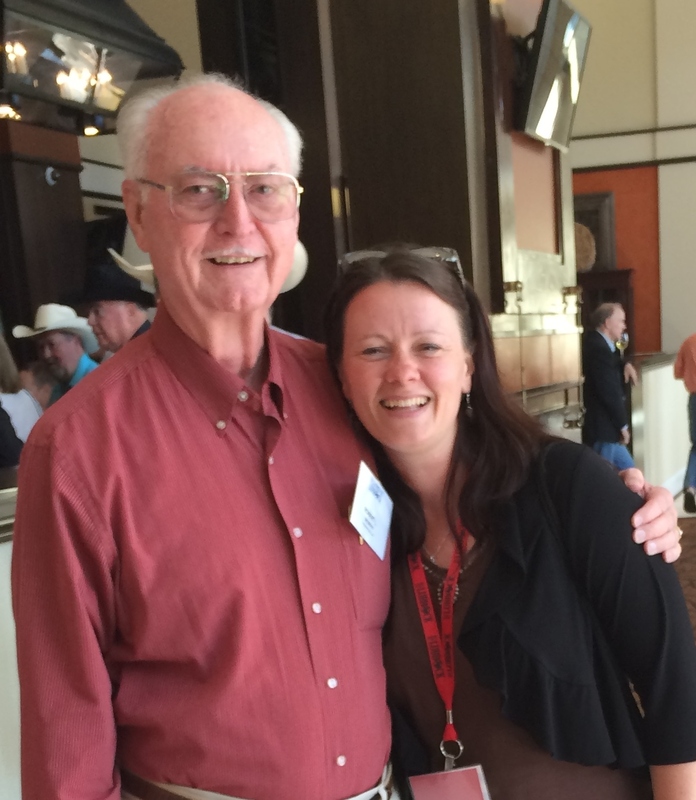 I had the pleasure of spending time with Tiffany Schofield, Senior Editor of Five Star Publishing. Five Star published my first novel Eagle Talons in October 2014 and has scheduled by second novel Bear Claws for release in November 2015. Tiffany oversees the acquisition of books in several genres for Five Star, including the Frontier Fiction category for my trilogy The Iron Horse Chronicles. 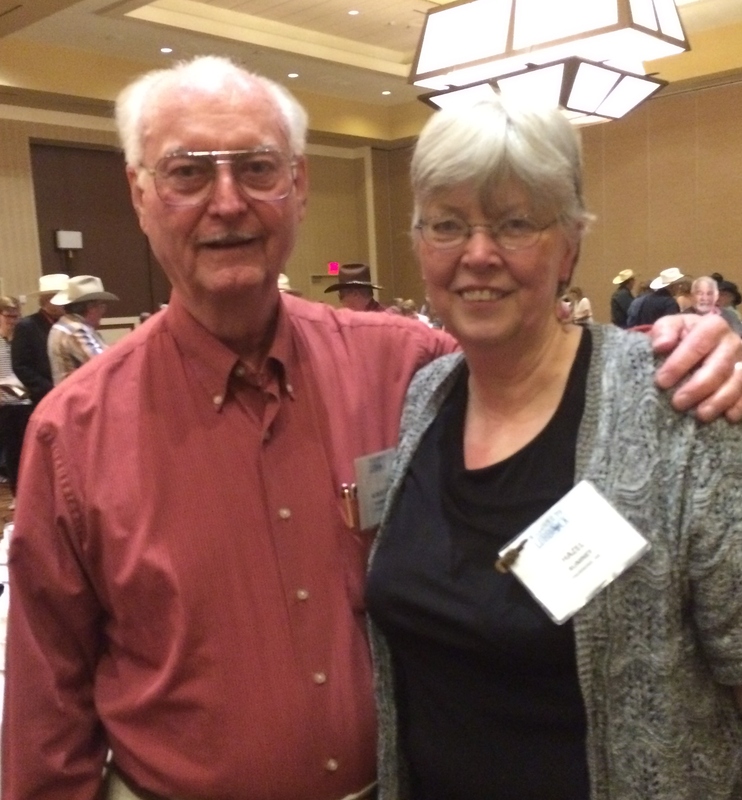 Through her leadership, Five Star won the 2013 Lariat Award from Western Writers of America. Five Star authors have won numerous Spur Awards. Hazel Rumney is Editorial Development Coordinator for Five Star Publishing. She has work with me to ensure that my finished books are better than what I submitted. She points out areas that are incongruous in my plot and guides me in rewrites that result in a much improved story. It was enjoyable spending time with Hazel, who kept encouraging me to finish book three, Golden Spike. 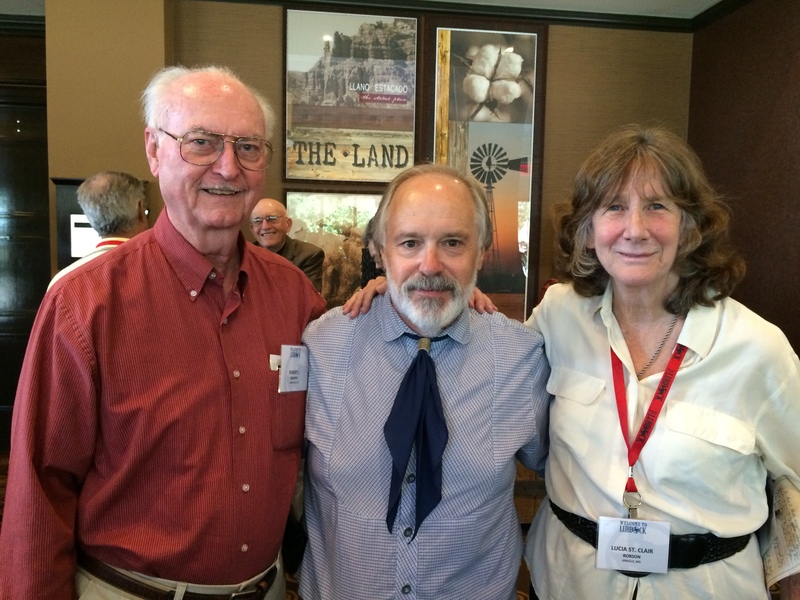 Lubbock and its citizens provided a welcome atmosphere for the 2015 WWA Convention. Next year the convention will be held in Cheyenne, Wyoming. I hope to be there. This entry was posted in Bear Claws - Book Two, Eagle Talons - Book One, Golden Spike - Book Three, The Iron Horse Chronicles, Writing and tagged Adventure Fiction, Bear Claws, Eagle Talons, Five Star Publishing, Frontier Fiction, Golden Spike, Historical Fiction, Middle Grade Fiction, Teen Fiction, The Iron Horse Chronicles, Western Fiction, Western Writers of America, Writers' Associations, Young Readers. Bookmark the permalink.